23rd Foot, "Royal Welch Fusiliers"
This is a blog dedicated to wargaming the American War of Independence in the late 18th century, in 25mm scale using the excellent "British Grenadier" rules (published by Partizan Press). It is primarily designed to allow me to post photos of the regiments I paint as each unit is completed. In that respect, the blog is 3 years overdue as I first started work on this period in 2003, encouraged to do so by the excellent sculpts that Alan Perry was making for Foundry and then his own company, Perry Miniatures. Most of the photos on this blog will feature Alan's figures. Whilst the AWI has been, and will remain, my primary focus for the foreseeable future, I will also feature occasional posts of figures from other periods, which I work on from time to time for the sake of variety. The first of such posts will feature Dutch-Belgians from the Napoleonic Wars, which I am working on for a game at the Salute show in London in April 2007 (thanks to Dave Brown and Richard Jackson of Loughton Strike Force wargames club for asking me to help out!). The time I spend on those figures over the next couple of months will give me an excuse to post some of my "back catalogue" from the past 3 years. I also hope to post items of general interest to AWI wargamers such as reviews of new figures, orders of battle and perhaps the odd book review. At some stage I will explain the meaning and myths behind the name "Tarleton's Quarter". There seems to have been a resurgence of interest in this period among wargamers over the past few years, with a regular flow of new figures, articles and books. There is even a television series from Simon Schama coming soon on British television about the fate of black slaves in the war. I will aim at posting up at least one regiment each week. 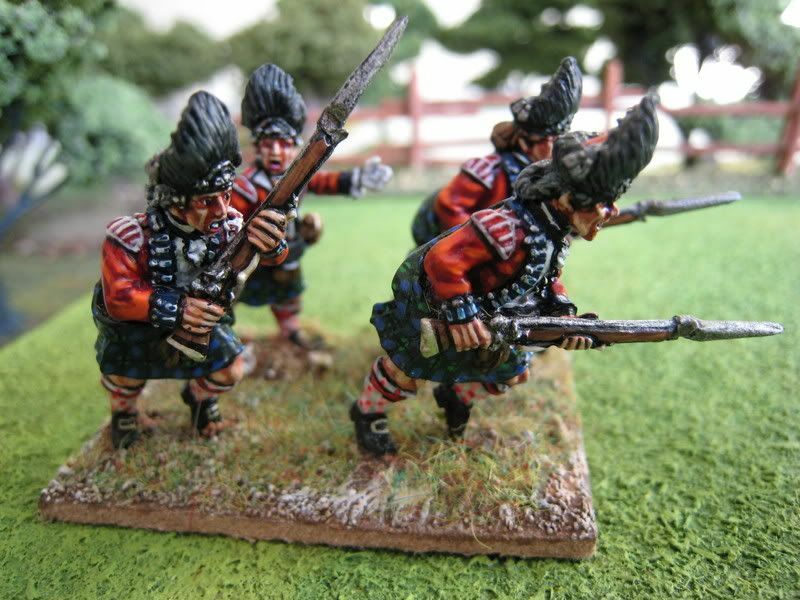 So by way of a taster, above is a photo of some of my first ever AWI figures, the grenadier company of the 42nd Regiment of Foot, otherwise known as "the Black Watch". Looks good so far, Giles. I've often thought about an AWI collection... someday, someday! Do you use any specific rule set? Thanks guys! Heepy, what's happened to your blog - seems to have crashed. Legatus, yes I use the set "British Grenadier" which are based on the Napoleonic "General de Brigade" rules. They are very realistic and emphasise command/control and the unhelpful nature of the terrain. They are sometimes criticised as being over-complicated and slow, but I have never found that to be a problem. 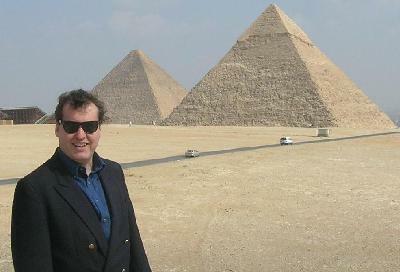 Excellent pics Giles. Keep up the good work!